Lately I have start to see this type of error, either where EWS internal URL is blank also the External URL. The Skype for Business is running on Windows server 2016, Exchange 2016 and Hybrid to O365. After lots of Google on this. Added Kerberos for Skype for Business. Changed OAuth certificate but the client got prompted about for Exchange credential all the time and it did not help at all give this to the client. It's been a while since my last blog. So this will contains a lots that has happened lately. Yesterday 6th Desember 2017, I was interviewed by a journalist who is going to write something about KEMP Technologies, MELA, KEMP 360 Central. Looking forward when it comes out. Was great, and this how we KEMP VIP's does it. Want to know more about KEMP Loadmaster, well contact me or blinQ AS, and we can give you an introduction to the world of Harware LoadBalancing and how to use it as a reverse proxy. Yesterday I got an e-mail that made me happy. I got the new roadmap for Microsoft Teams. The PowerPoint presentation can be read from this link. Be aware that dates can changes. From my perspective I think this is what IC is about and one of the feature that I like that comes soon is the integration between Skype for Business Persistent Chat and MS-Teams integration. Finally Azure Stack has arrived. In Norway there are different companies that can deliver this service. Azure Stack is Hybrid Azure, where you combine Azure and Azure Stack. But did you know that KEMP Loadmaster is the one and only LBA/ADC in Azure and Azure Stack. And if you plan to move your environment to Azure and Azure Stack, and you are already a KEMP customer, then you can move your license to the new environment. Last week there was a great time for the Geeks like me. MS Ignite 2017 happen in Orlando. Huge and bigger than ever. They said there was about 30 thousand there. It was so big that they had to have it in 3 buildings. Something that made a lot's of walking. According to one of my friends we walked about 65 km that week. The EXPO are was big and very interesting to meet all the sponsors, and to see how and what they can deliver in a ECO system. As one of the new features of the MS Teams that Twitter runs over with, is that we can have Guest user access in Teams. Well to add a user is real easy, but there is some limitation about it. Your account has to be O365 business or school account. If it's one of them well then there is no problem to get this new feature running. The last days I got my Sennheiser MB660 MS UC. At the first time I plugged it to my Surface PRO 4, running Windows 10 PRO Insider Preview Evaluation copy. Build 16281.rs3_release.170829-1438, who worked smooth on my Plantronics Voyager Focus UC. When running the dongle on the MB660 it works fine. 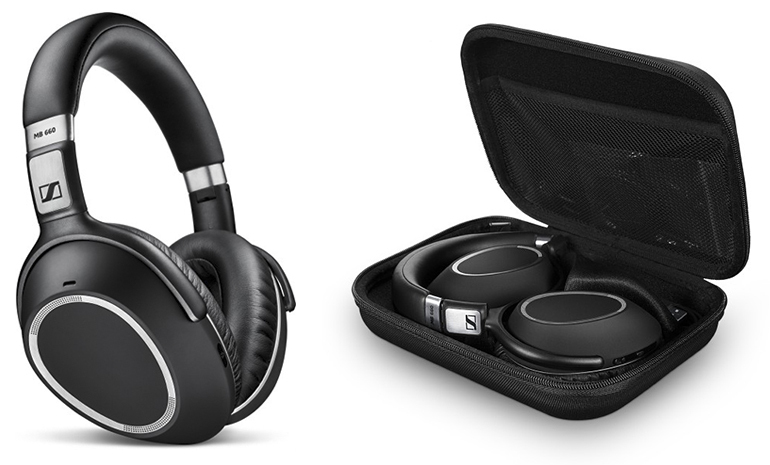 The drivers got where they should, and the Sennheiser update installed the latest firmware for the dongle and headset. It's time for a classic with a twist. As we know there is an issue installing Skype for Business server on windows server 2012R2. You have to download the KB2982006 update and installed it. Since I did not partisipate on last year on MS Ignite. My company is sending 2 persons this year. It's my Co-worker Ivar Naggum and my self. Most of the stuff that I will look into this year at Ignite will be about O365, some Skype for Business Online and Azure. There will come lots of bloggs and tweets from this years event. I hope to see you at Ignite in Orlando. I have the last half year build serveral Skype for Business solutions where we have implemented Enterprise Edition. Based on what several MVP and Microsoft best practise they recommend DNS LoadBalancing. As mentioned in several bloggs and on Technet, well all say that searching for error is more easy with DNS LBA. Well that can be true because you don't have to search in HLB vml og physcal unit. But then you buy a HLB without a service and support agreement? And if it's critical you buy a 24/7/365 4 hours responce time agreement. If you look at downtime based on how client works and what is said around. The Skype for Business client shall do it better than older clients. But is this the fact? More and more customers are going for KEMP Loadmaster as reverse proxy. Often the question about http port 80 redirect inside KEMP Loadmaster to https 443 and then to a realserver who runs 8080 or other ports. Create a Virtual Service on the IP address you use for HTTPS on port 80. This service will act as a redirector and does not need Real Servers. Once created, on the Virtual Service modify screen, expand the Advanced Properties section. In the Not Available Redirection Handling section, select 302 Found as the Error Code. Enter the URL to redirect to in the Redirect URL text box. Click Set Redirect URL. You may use the wildcards %h and %s to represent the requested hostname and Uniform Resource Identifier (URI) respectively. After the public DNS has been created and the FW is open for port 80 for this service well then KEMP will do it's magic. One of my customer who I have build a Skype for Business as a service for are running KEMP Loadmaster in a HA environment. On the KEMP Loadmaster just use the template, then Add the VS using public ip and then connect to the OWA servers on your internal network and let KEMP do the LoadBalancing. 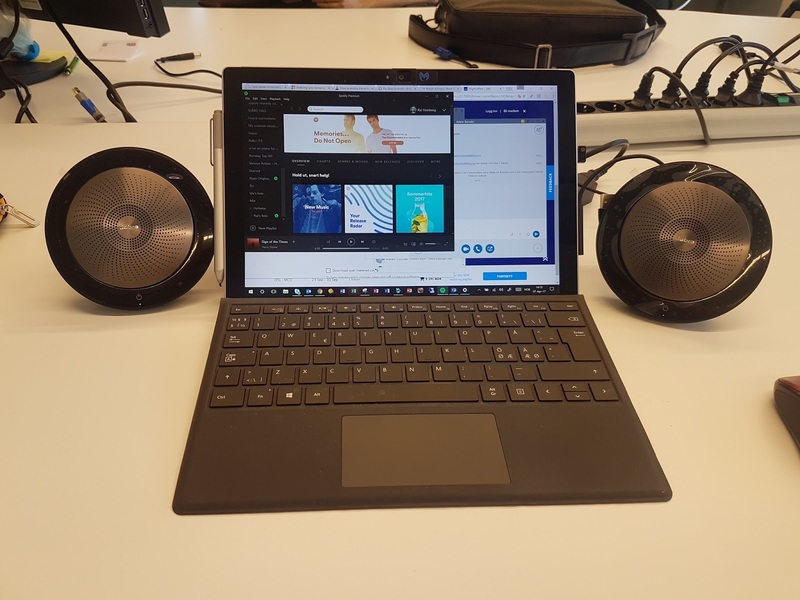 After testing the solution where we duing a powerpoint presentation we did not have downtime, just a small freeze for 1 second for the presenter who run the powerpoint in Skype for Business. If you want to know more about KEMP, and how to use KEMP please contact me since blinQ is the only KEMP Center Partner in the Nordic Area. Some of my customers have lately got this error on their frontend servers. Last week we then got the May 2017 Culumative update for Skype for Business. since 1.april 2017 KEMP has come out with a new lisence model. Watch this video to get information about it. As a part of beeing KEMP VIP, I have been asked to run a webinar for KEMP partners. The session will last for 1 hour. Customer cases we have done, how KEMP solved there challenges. The new lisencing model and the new KEMP 360 Central. This will be a "non" tech session but it will give som pinpoints on how to use KEMP, Why use KEMP instead of Netscaler, F5 or IISARR/WAP-ADFS. Hope you will be there for this session. Just got from Tektrakom in Norway the new Jabra Speak 710. This is a new version of the Speak 510 but now with som new features. One of the great things is that I just paired it without use the bluetooth stick on my computer. Just one click on the Speak and it pair/connect with each other. Just nice good. Tried also a conference on them, connected to Skype for Business, and on where i sit and one in a meeting rom about 30feet away, and this worked also. So far this looks nice and works fine. Charging with USB, connec to computer either with USB, Bluetooth direct or the stick that comes with it. Pairing so easy. The kids tried it on their computer runing Viaplay, and watching movie on one of the computers. They where very happy about them. They said that sound was great. 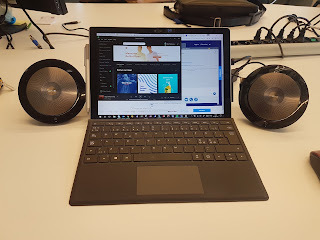 To get them working on Windows 10 is very easy, just let it be installed by bluetooth, and if you have two you want to connect together, just press the connect button on the front on them and you are connected or you can use the bluetooth pin that follows it. I have now installed them on my computer the Surface 4. Runing Spotify, and it works very good. Hi, it's been a long time since my last blog post. This has to do with long days and all to much work to be done. Well, here we are again. This time wiht news that KEMP Tech is about come out with a update for theire KEMP Loadmaster. The new version is 7.2.38 who they will present 3dr April 2017. Some of the news is that there is support for Windows server 2016 Hyper-V, Secure FTP (SFTP for backup). The new software will be out on monday....so this is early news for you. Cloud or Non cloud.....that's the question? Are you thinking about to get your Skype for Business in the Cloud or OnPrem? Cloud or Non Cloud. Hosted or Non hosted? Well this are important infrastructure and company policy that has to be considered. Noticed something interesting here the other day. After change of IP for Edge in public IP and internal aswell. When we got the routing inplace. Note to my self.......remember to reboot the Edge server even if the topology has been published. Otherwise you will get funny errors where Desktop sharing or Application sharing doesn't work and ofcourse the FW is configured correct. When customers or persons out there, use KEMP for other stuff than Reverse Proxy or HLB for Skype for Business. We as a KEMP Center Partner see often that they use it for IIS. Other will protect their IIS solutions and here is a tip about this. If you have a IIS that us HLB and use WAF (Web application firewall) and has a subscription from KEMP for it, well then use the following settings running only IIS on the Realserver. If there is information passing through the website such as user details or going to a database it would be recommended to us the Application Generic rules such as SQLI and XSS. However if Application Generic rules are applied it is not possible to apply Application Specific. And please turn on Audit Mode to Audit Relevanse. If this is not turned on, then you might get no loggs on the WAF. One other thing about WAF is that when you turn it on, well then you get a message 1 out of 8 VS are enabled. What does this mean? Well, this say that you have 4 GBRam for your WAF, and each VS running WAF takes out 512 MB Ram. If you find out that you need to have eg. 16 VS running WAF, well then you have to double your memory for your Loadmaster. Hope this explains a lot about this subject.